The Importance of Prophecy | Looking for that Blessed Hope! After salvation in the Lord Jesus, the rapture of the church and the 2nd coming of Christ are the most important topics in the bible. These events mark the end of the church age, the redemption of Israel, and the beginning of the millennial rein of Christ as King on earth in the literal Kingdom of Heaven. Today arguably, the church has the greatest witnessing tool and greatest opportunity in its history to reach the lost through the teaching of bible prophecy. Bible prophecy will bring people to the feet of Jesus for the testimony of Jesus is the spirit of prophecy itself. 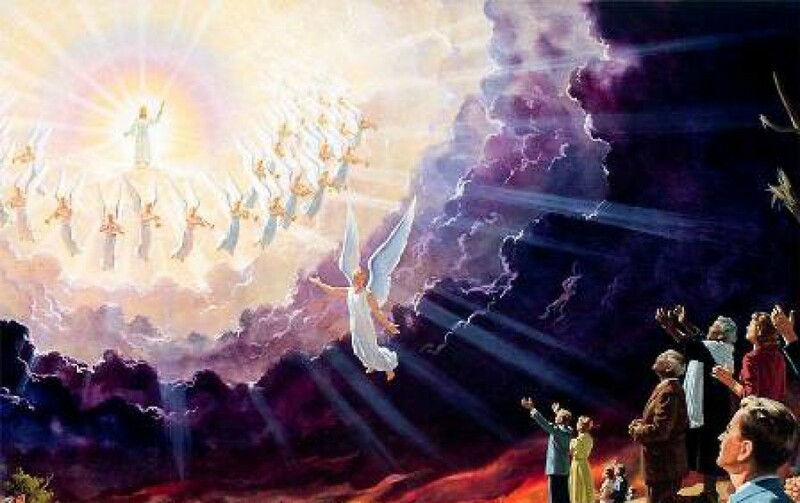 For every prophecy of Jesus’ 1st coming, there are about 8 concerning His second coming. Prophecy helps us to understand the bible’s storyline as a whole with the Cross standing in the middle of it. The rapture of the church and Christ’ second coming is so important that God’s very first prophet Enoch (7th generation from Adam), predicted Christ’s return and was a living testimony to the rapture of the church. Do you know someone that is troubled by the world events of today? Are they uncertain of their future in this ever changing, chaotic world? Point them to the bible and prophecy. Show them the events of today have been prophesied in the Old and New Testament. Tell them Jesus is their only savior from their sins and the eternal security from the calamity of this world. Remember the words of Paul, in that if any man does not love the Lord, let him be accursed; the Lord is coming. This entry was posted in Ministry, Prophecy and tagged End of Days, Enoch, Lord Jesus, Prophecy, Rapture, Return of Christ, the 2nd coming of Christ, the testimony of Jesus by atharris. Bookmark the permalink. Amen my brother!! Indeed through prophecy and its fulfillment do we point those who do not yet believe to the fact that God’s word is true and worthy of our belief and attention. God cannot lie and scripture is God breathed, we on ow that because He says so and all prophecy within the word has either been fulfilled or will be in the end of times and our Lord’s second coming…Even so, come Lord Jesus!